The Matted Prints are the perfect choice to enhance your pictures of ceremonies, portraits, fashion, reportage, art. Each Matted Print is made of high-quality black or white cardboard. The oblique cut of the inner edge gives depth to the print fixed to the frame, ensuring maximum quality and durability over time. Each Matted Print is assembled by hand to ensure the best possible quality for you and your customers. Each photo framed in this way turns your pictures into small paintings to be preserved and displayed. The wooden support base allows you to display your Matted Prints to tell the most significant moments. You can order as many bases as you want to support your Matted Prints, thus turning them into table frames that hold your most beautiful memories. The range of available formats makes the Matted Prints perfect for every style of photo shooting, picture, and storytelling. The Fujifilm silver halide photographic papers have been carefully selected to give pictures dynamism and emphasis, eternity and delicacy. Laser-printed. You can request your design prints in the BASIC package or in the smart DELUXE box. 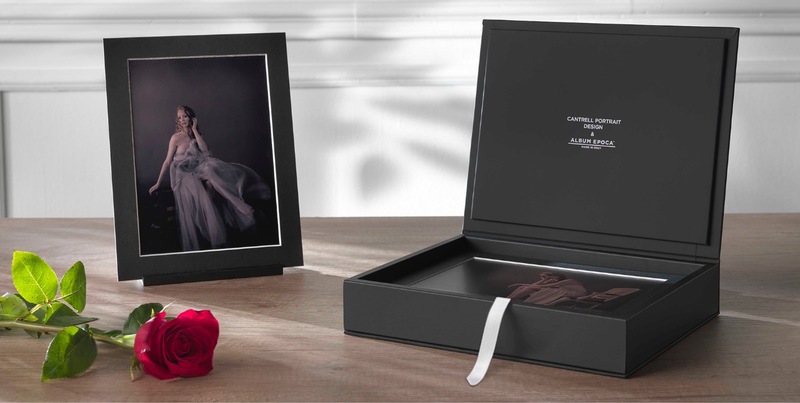 Each Deluxe Matted Prints box can be customized with graphics that are designed to enhance the memory kept inside. You can choose between black and white, both for the Matted Print and for the Deluxe box. 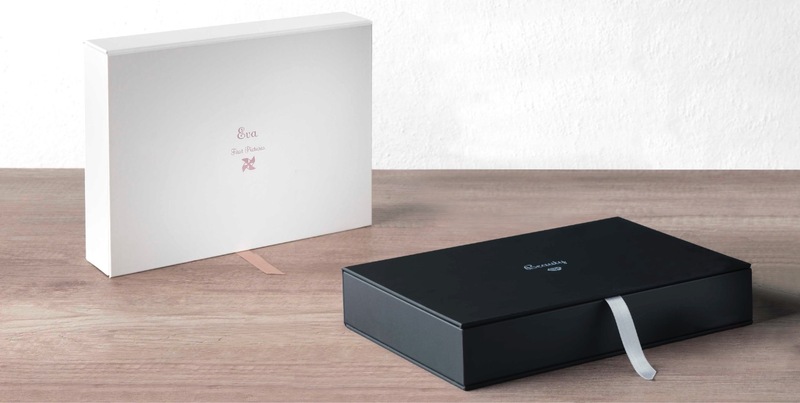 Each box can be signed with the photographer’s or the photo studio’s name. The satin ribbon, coordinated with the graphics of the Deluxe box, can be chosen from four available colors.